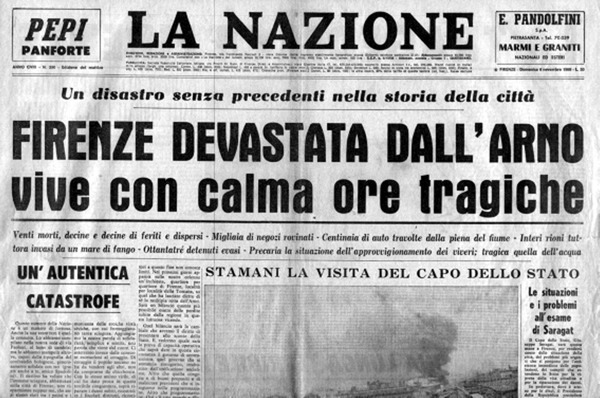 On Nov. 4, 1966, torrential rains and winds up to 90 miles per hours battered much of Italy, particularly Florence "The City of Flowers", situated in the valley of the Arno. 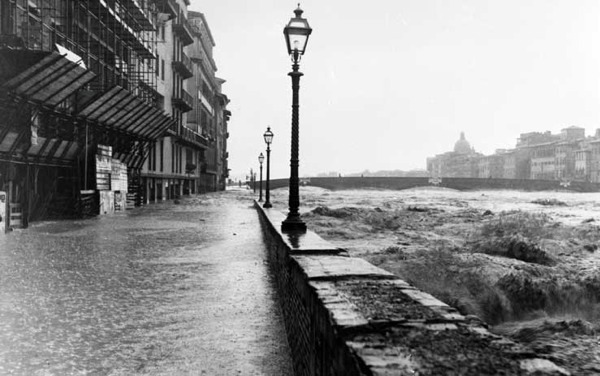 The flood of the Arno river killed 101 people and left the city in ruins. Damaged buildings, masterpieces (from monuments to books) destroyed and lost forever, artisanal shops to be rebuilt from the ground up. Still remembered today when a flood occur. Stanley Marcus, president of Neiman-Marcus and Dallas chairman of the American Committee of Italian Flood Relief, has designated a 1967 award to these spirited artisans "whose craftsmanship and design abilities in the fields of leather-making, ceramics, embroidery,knitting and dressmaking are famed as standards of quality throughout the world and whose numbers are so great that it is impossible to single out only one recipient." 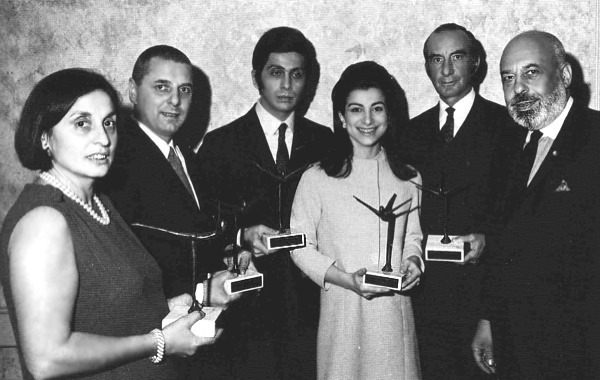 Extreme circumstances led to an unprecedented decision: all the awarded designers were from a single Country, Italy; the first time in a 29-year history of the annual award. So Marcus' designation was both gracious and clever. Also rarely recalled. 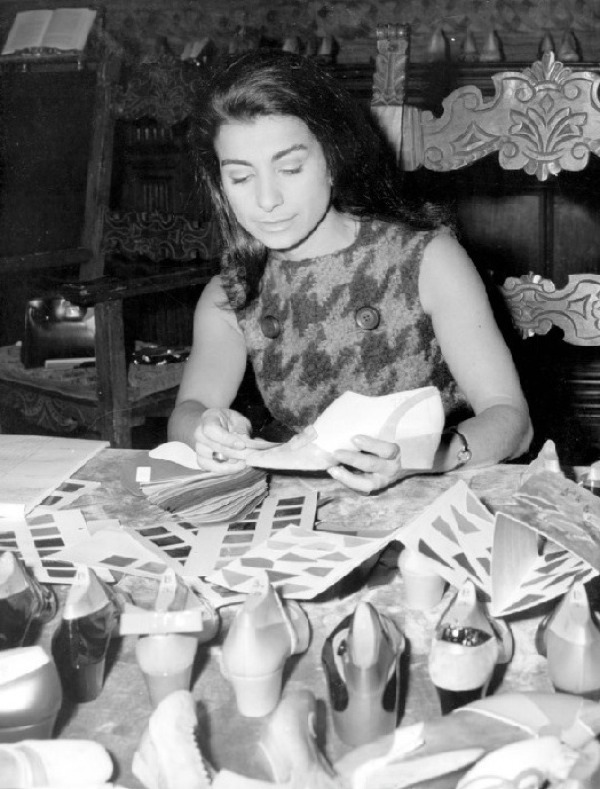 Also receiving awards were Fiamma Ferragamo, talented daughter of the "Shoemaker of Dreams," the late Salvatore Ferragamo; Lydia de Roma creator of Italy's hand-embroidered playclothes; Valentino of Rome, brilliant young couturier whose creations grace some of the world's most prominent women, and Giancarlo Venturini, designer who revolutionized the concept of knitted sportswear. 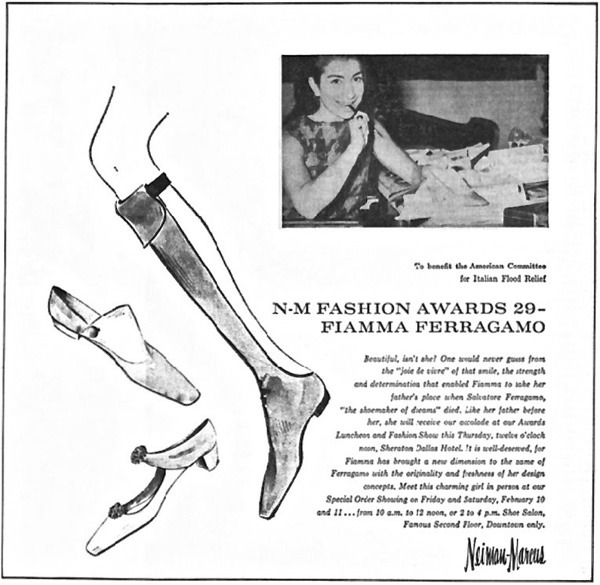 It can be read on the ad, right below the photo: Fiamma Ferragamo in person at the N-M Shoe Salon was To Benefit The American Committee for Italian Flood Relief. 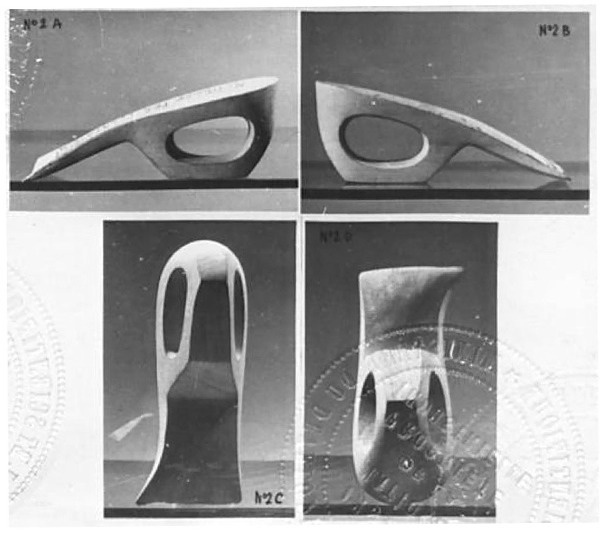 On the left, drawings of three models taken from the winning collection, two of them also shown below. Well, two out of three models found, not too shabby. 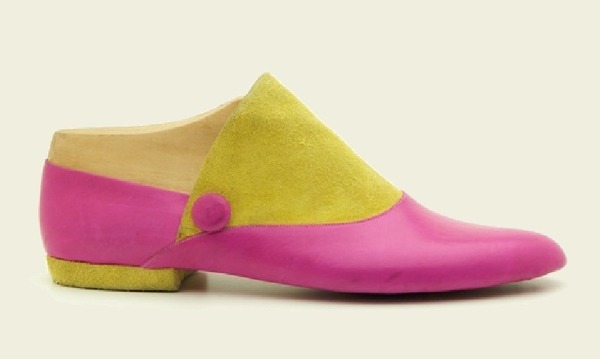 So everything is fine and dandy except for one small G L I T C H. The most famous shoe from the Neiman-Marcus winning collection - the model Pleja - IS NOT FROM the Neiman-Marcus collection, not even the same year. 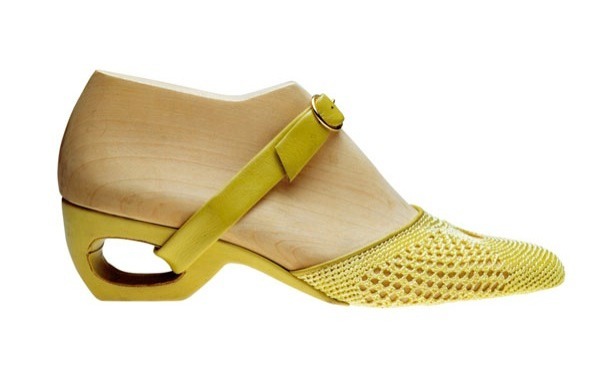 The Pleja belongs to a sculptured heels-centric collection of the following year especially designed for Saks Fifth Avenue, NY, however, countless books and web sites (including ferragamo.com) think otherwise. Let's see why they are mistaken. 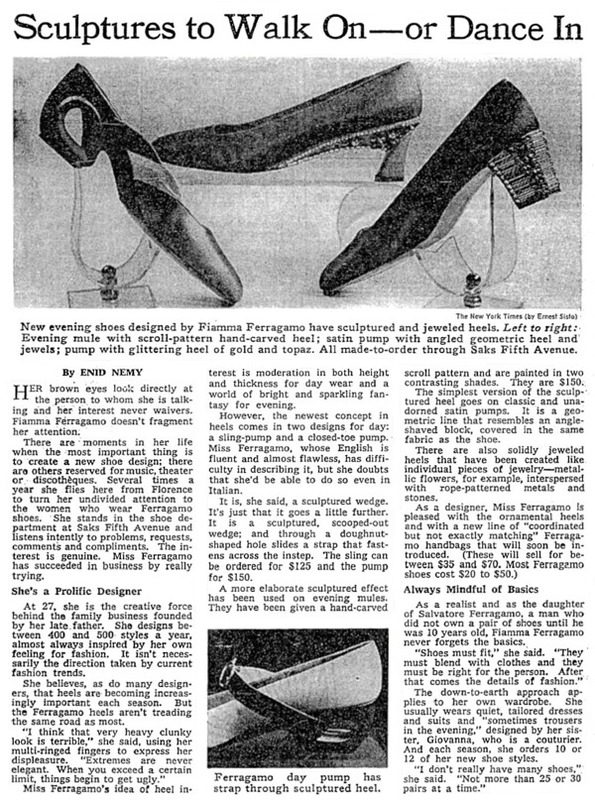 The heel & arch assembly of the Pleja is called CASSIDA and it was patented in Italy (July 1968, 17 months after the N-M award), France (January 1969) and U.S.A. (March 1970, filed December 1968). 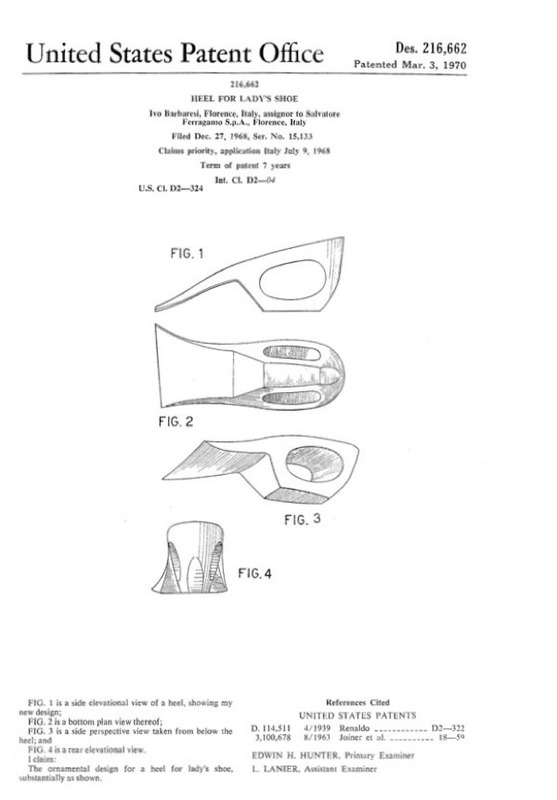 The American patent helps to identify the Florentine sculptor Ivo Barbaresi as the author. 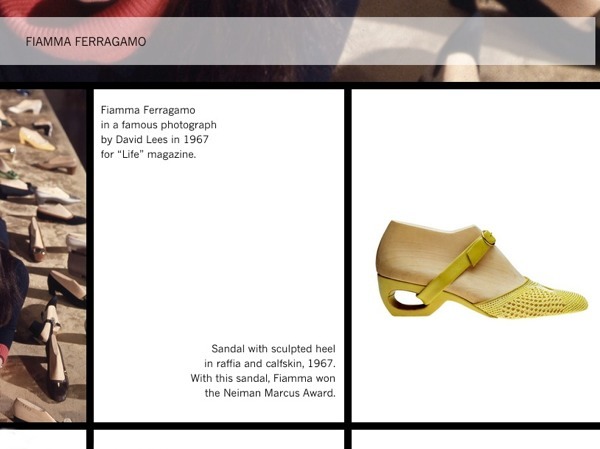 The Salvatore Ferragamo S.P.A has been informed about our findings and the website amended the page now featuring the model Kalioscia as the winner of the Neiman Marcus award. … which is not really a footnote. 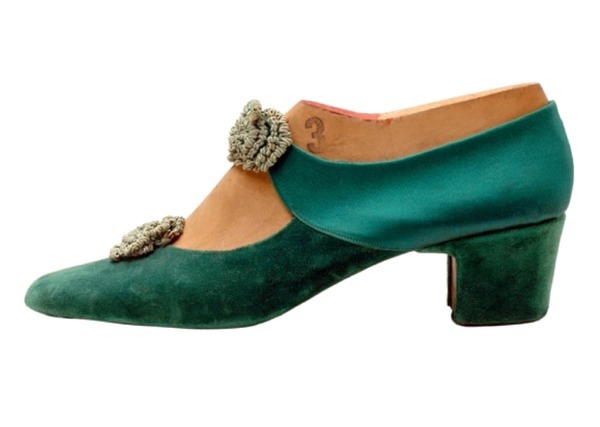 According to the online database Archivi della Moda del Novecento (20th Century Fashion Archive, Italian only) the Neiman Marcus models were drawn by Ferragamo in-house designer Carla Michelassi. 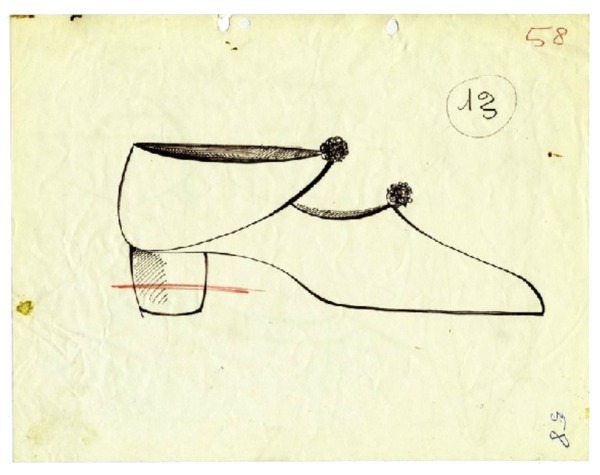 If so, Carla designed the collection the first year on the job and continued to do so for the following twenty (20). She later moved to other tasks within the company (head of the creative dept./product manager) until her retirement in 2003. 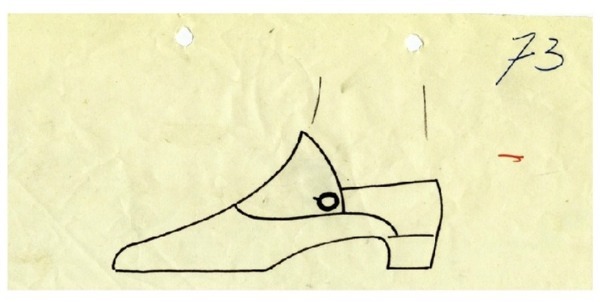 She spent the last leg of the Ferragamo experience as a consultant (2004-2005) before opening her own consulting studio. We know this from her Linkedin page as there are no other information about her on the web, beside her obituary: Carla Michelassi passed away September 3, 2015. We would have liked to know more about her and her job; as for now, even if we're late, we send our sympathy to her family.